The 2019 Photokina show is now officially canceled and the 2020 Photokina dates were announced: May 27-30, 2020. The full press release can be found here. 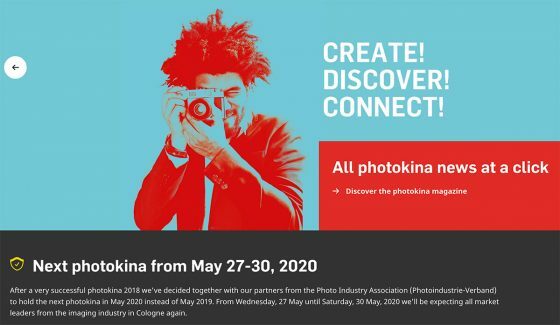 This entry was posted in Other Leica Stuff and tagged Photokina 2020. Bookmark the permalink. Trackbacks are closed, but you can post a comment.